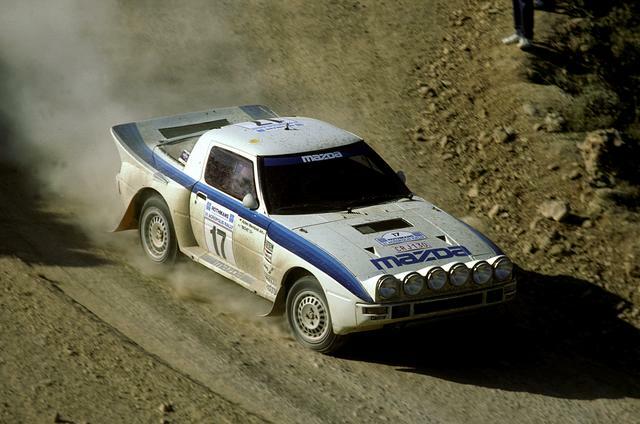 Mazda wanted no part of the Group B class. Early efforts by Rod Millen and Timo Salonen seemed to be ignored. Achim Warmbold aimed to get their attention by creating Mazda Rally Team (MRT), but Mazda headquarters appeared to ignore it. Several drivers competed in group B RX7s. Ingvar Carlsson placed 3rd in the 1985 Rally Acropolis for MRT. Achim Warmbold managed to place 6th at that rally as well. Mazda did notice these results, but instead of backing the Group B RX7s, they decided to put their effort behind a group A 323.